← What Comes Next After Paris? 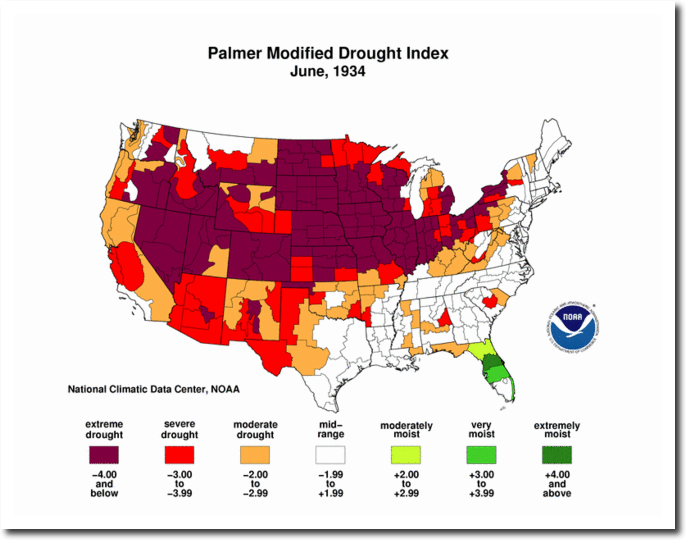 A massive, unprecedented heatwave and drought was in progress on June 1, 1934. 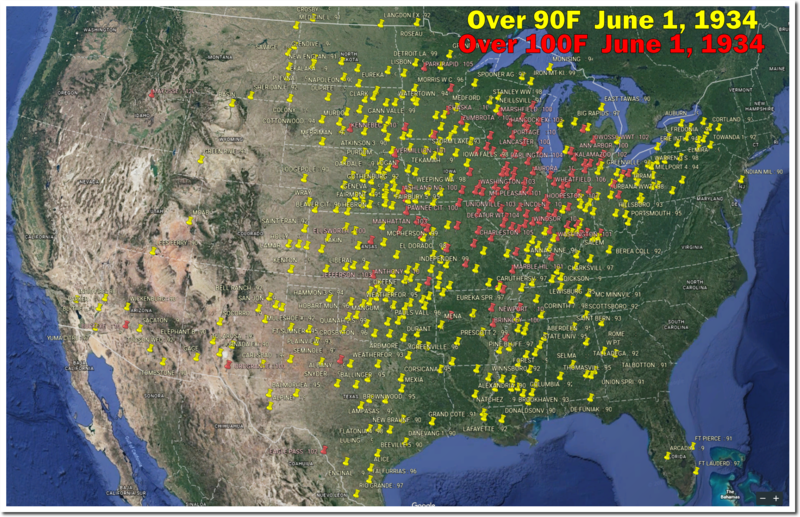 Government climate experts don’t talk about this sort of thing, because it wrecks their extreme weather scam. Are the Yellow 90F pins and the Red 100F pins reversed? No, the pins are correct. 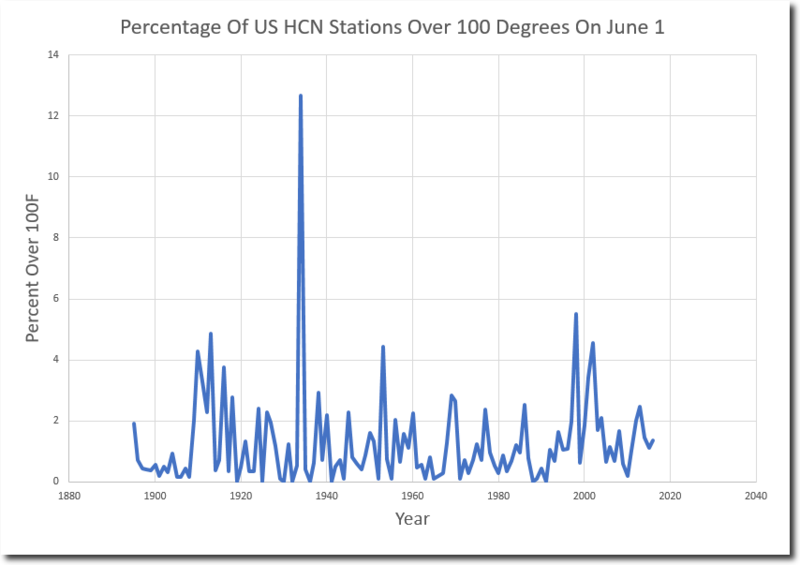 I am beginning to suspect that today’s self-styled “climatologists” may all have banjos on their respective knees. Tony, thanks as always for the outstanding work you do to pull away the curtain on how the climate scam is being foisted on us. Someday, when the final history of this disgraceful episode in pseudoscience is written, the name Tony Heller will be at the top of the list of REAL scientists.